Our Rachel Project is now finished for the 2012 year. Our association along with our sponsors, The St. John’s IceCaps Care Foundation and the Williams Family Cares Foundation were thrilled with the response. 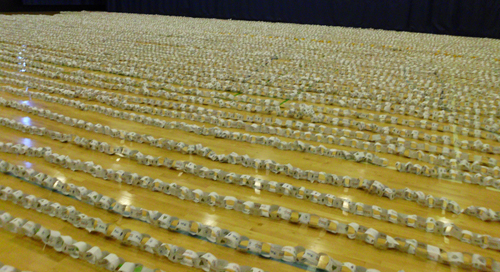 We had over 100,000 links sent in from students in schools all across the province of Newfoundland and Labrador. Each link in the chain represents a kind deed or act that was performed by students in our schools. Letters sent to us by some schools indicated that teachers and students noted a lot of changes in the school during the month of February. Many schools asked that we continue the project in following years and expand it to include grades K-12. We will certainly be giving this a lot of consideration. Please enjoy our following picture gallery which includes a picture of the 100,000 links formed in one chain, pictures of some schools who took part and pictures of our winners. 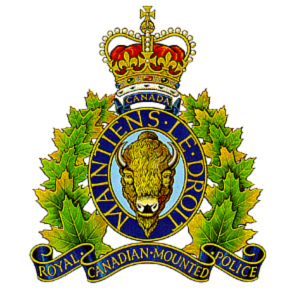 Chain made up from over 100,000 links from across the province. 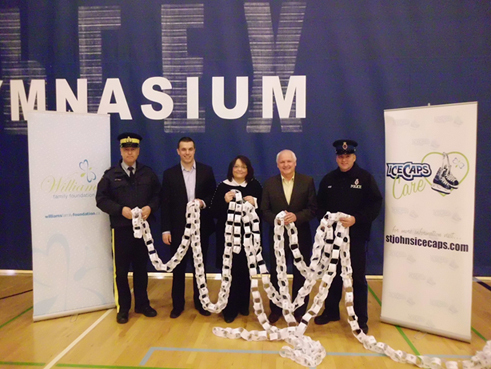 Representatives from the RCMP, RNC, St. John's IceCaps CAre Foundation and CCPANL hold some links. 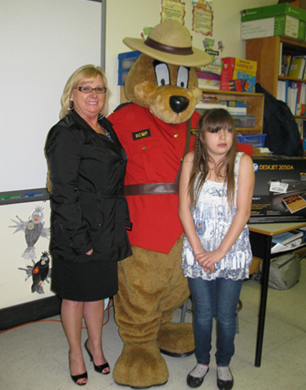 The Central Newfoundland Zone Winner with RCMP officer. 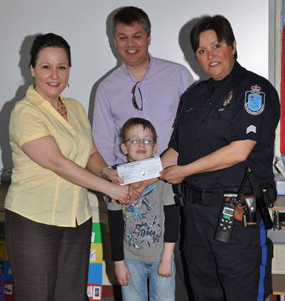 The Western Newfoundland Zone winner with RNC and chair of Corner Brook Crime Prevention. 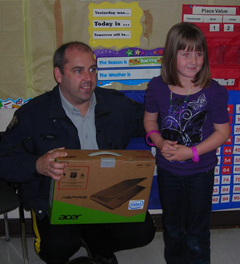 The Eastern Newfoundland Zone winner with RCMP officer and chair of Bay Roberts Crime Prevention. 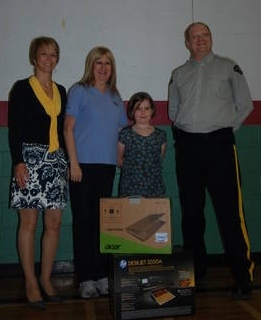 Southwest Arm Academy gets involved in the Rachel Project. 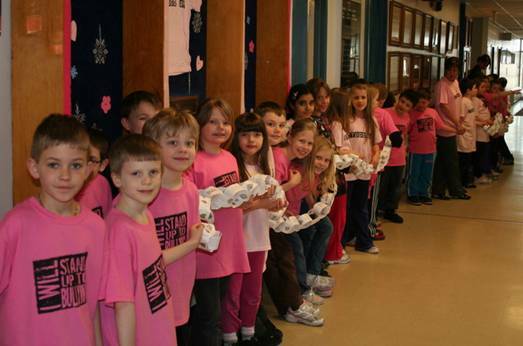 Students of Donald Jamieson Academy Wear Pink Shirts and Hold Chains.